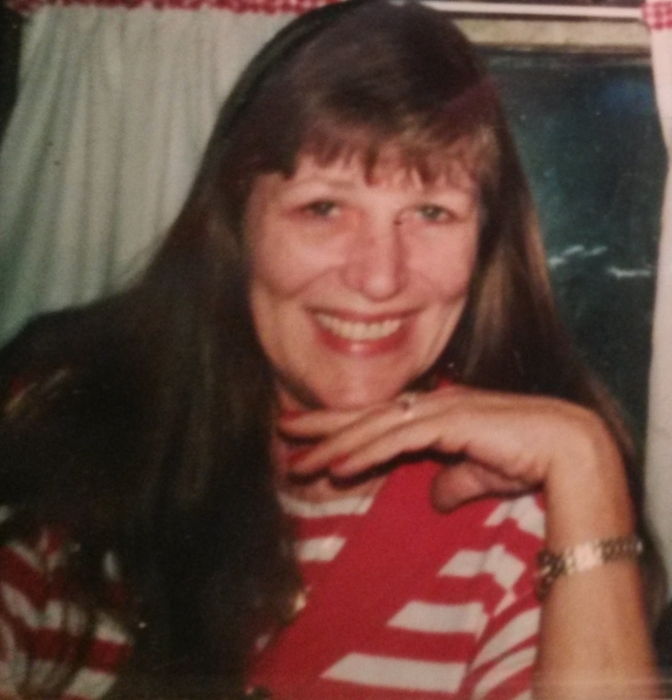 Mary Louise (Sanders) Shannon, 71, of Ostrander, passed away peacefully on Tuesday, January 22, 2019 in her Lake Dallas, TX home, surrounded by loved ones. Mary was born March 25, 1947 in Spring Valley, MN, to Harold and Doris (Nelson) Sanders. She grew up in Ostrander, MN and attended high school in LeRoy, MN. She graduated in 1964. On Oct. 5, 1963, Mary married her high school sweetheart, Vinal F. Lancaster. They made their home in Waterloo, IA. They were blessed with 3 children; Todd, Tony and Vicky. They later divorced and remained friends until his passing in Oct. 1971. On July 20, 1971, she married Robert A Widdel Jr. They were blessed with 2 children; Jennifer and Bradley. They later divorced and continued their friendship until his passing in Dec. 2018. In 1973, Mary opened, “The Handmade Gift Shop.” She had many skilled, crafty suppliers, including her Mother, Doris. After the shop closed, she continued to travel to craft shows and set up booths for many years. In 1988, Mary moved to Lake Dallas, TX with James P. Shannon. On July 30, 1989, Mary and Jim were married in their home. Mary attended Brookhaven College. She graduated on May 7, 1992, with honors, with an Associates in Applied Sciences degree. Together, Mary and Jim enjoyed tent camping, horse races at LA Downs, traveling the U.S., Mexico and Canada. They attended many auctions, which led to selling antiques and collectibles on eBay for several years. They also attended many regional and state conventions for the 40 & 8 Veterans Organization to which Jim had held almost every office over the years. In 1998, they purchased an acreage near Ostrander, MN and began restoring the 1880's farmhouse. After retirement, they divided their time between TX and MN. Over the years, Mary enjoyed reading, jigsaw puzzles, music, cooking, traveling, crafting, collecting, couponing, rebating, dumpster diving with friends, practical jokes, doing sweepstakes, going to thrift stores, garage sales and auctions, playing cards (“65”) and trying to beat her Mother and her daughter, Vicky, at Scrabble, but most of all, she enjoyed all the get-togethers with family and friends at, “the farm.” Mary also had a special love and bond with animals and enjoyed caring for her cats over the years. She always had stories to tell of all their shenanigans. Mary is survived by her 4 children: Todd (Desiree) Lancaster of Park Rapids, MN, Vicky Lancaster of Spring Valley, MN, Jennifer Heimsness of Gainsville, TX and Bradley Shannon of Spring Valley, MN; 8 Grandchildren: Chris, Cody, Courtney, Timothy, Stephanie, Caitlyn, Chelsie and Damon; 8 Great-Grandchildren: Gabriel, Harley, Hayden, Jayden, Kinley, Adelaide, Treyson and Casey; 2 Brothers: Harold Sanders Jr and John Sanders; 1 sister: Carol White; Brother-in-law: Richard Shannon; 3 Sisters-in-law: Linda Sanders, Bonnie Sanders and Marylou Wangen; and her beloved, 17 year old cat, Annabelle. Mary was preceded in death by an infant son: Tony; her husband: James Shannon; a brother: Steven Sanders and her parents. At Mary's request, a graveside service will be held at the Ostrander Cemetery on April 20, 2019. Condolences or memorials may be sent to the family at: P.O. Box 368, LeRoy, MN 55951. There's still time to send flowers to the Graveside Service at the Ostrander Cemetery at 10:30 AM on April 20, 2019.